This bird, is an annual migrant, and it can be recognized by its swift erratic flight and black-colouring with a hint of blue. Male is larger than female 30-32 cm long versus 28-30 cm long. 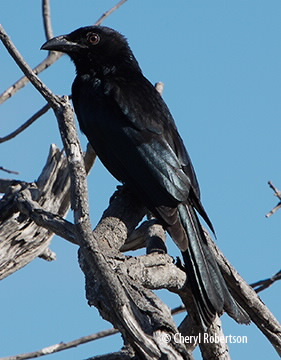 The glossy black tail is forked and flares at the tip. Legs and feet black, eyes red, bill black.